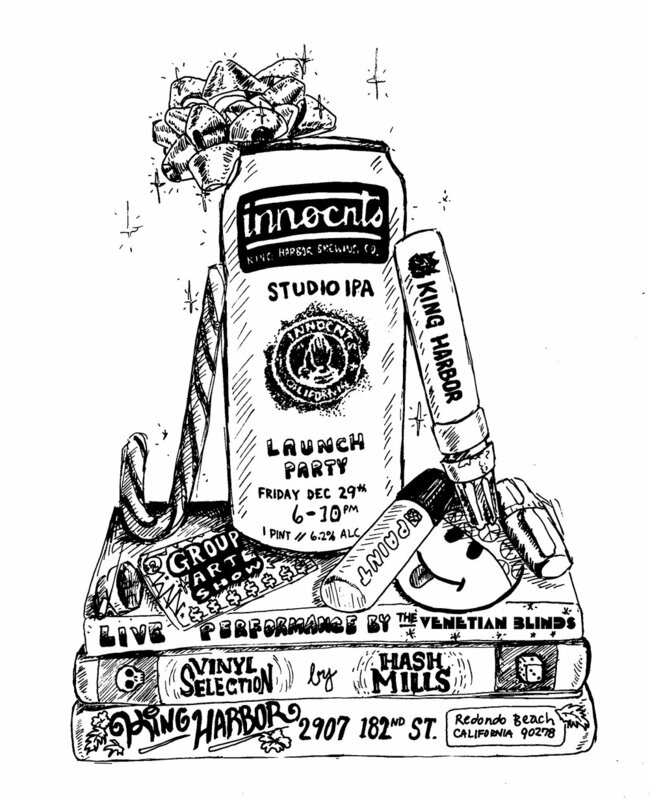 In celebration of the release of our INNOCNTS STUDIO IPA collaboration with King Harbor Brewery Innocnts put on a group art show of no particular concept featuring a wide range of art from friends and contributors. There was a special live performance by The Venetian Blinds with vinyl selection by our dude Hash Mills and . Join us at the King Harbor Brewery in Redondo Beach Friday, December 29th from 6pm to 10pm.